The Pl(a)ywood series by Hamburg designer Silvia Knüppel lives up to the promise of its name; playful use of this table is not only possible, but positively required. 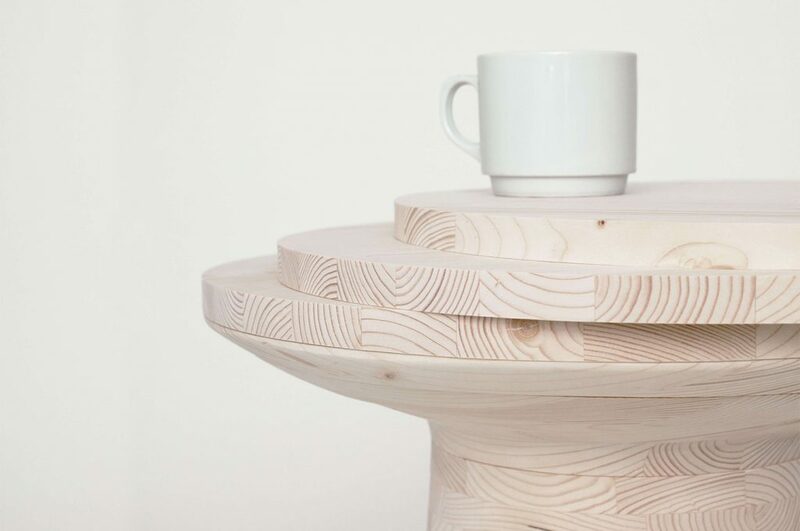 ­The table is made up of 33 loosely stacked individual layers of solid wood, reminiscent when fully closed of a classic side table – but only at first glance. 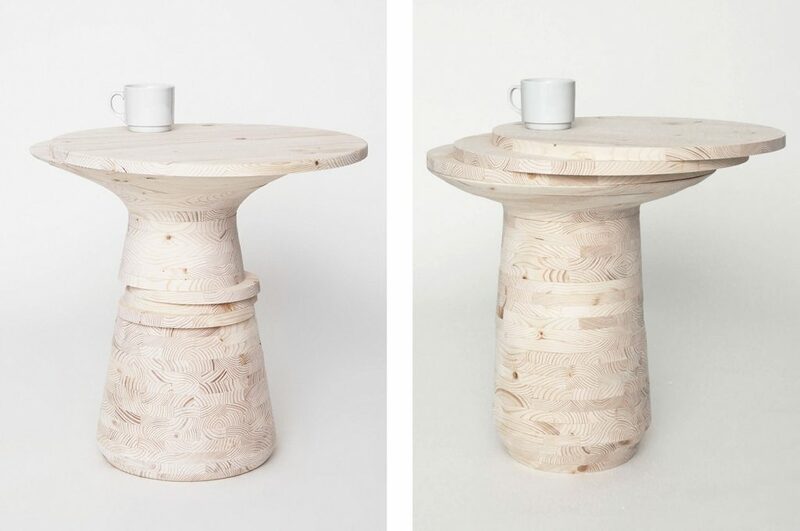 Each of these 33 leaves can be removed from the table where required and used as a tray, chopping board or shelf, dissolving the table’s compact, clean lines and transforming what appears to be a workaday piece of wooden furniture into a dynamic, living sculpture with a wide range of functions.